The all-New 2019 FW7s GPS puts powerful technology in the hands of those who demand more. The FW7s GPS is the world’s first electric golf trolley with integrated GPS and comes pre-loaded with over 38,000 courses worldwide. The FW7s GPS allows golfers to manage their game from their trolley handle irrespective of external devices and is backed by an extended 3-year warranty. A large 3.5” display delivers fast and accurate distances to the front, middle and back of the green, plus hazards. 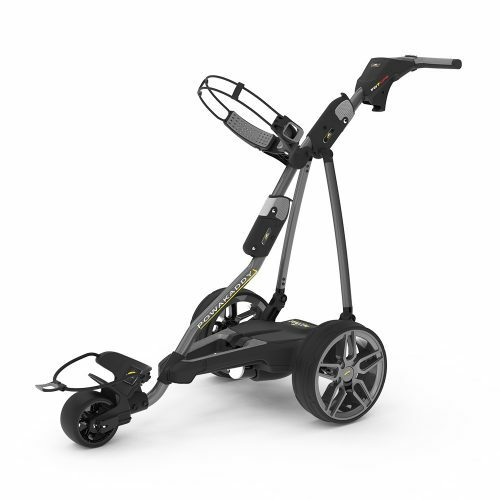 The FW7s GPS is the most intelligent trolley on the market. The award winning New 2019 FW7s offers golfers a host of features. The model is packed with technology and features a STUNNING full colour 3.5” widescreen display, built-in calorie counter, distance measurement function, a powerful, near silent 230-watt motor and also comes with an increased 3-year peace of mind warranty. Optional Electronic Braking System (EBS) provides 3 levels of progressive braking when going downhill. The FW7s is suited for the performance driven golfer. Available in Gun Metal with Exclusive Honeycomb Trims. 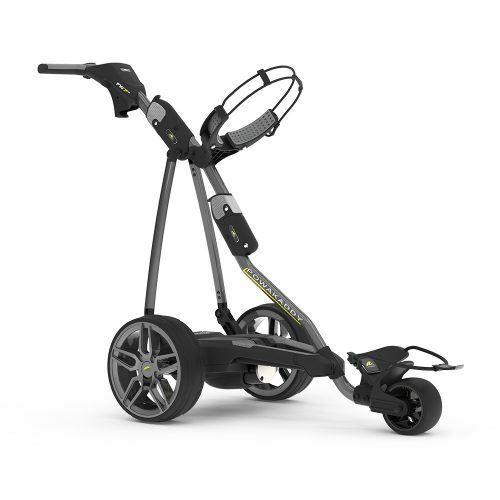 Featuring a unique SlimFold design, the M5 CONNECT DHC is the world's only compact-folding trolley to offer Smart features plus downhill braking and an electronic parking brake. The all-new 2019 C2i GPS is the most intelligent ultra-compact trolley in the world. It’s lightweight, ultra-compact frame folds in 2 simple steps and is 20% smaller than its nearest competitor. Featuring a fully integrated GPS system all pre-loaded inside the high-tech handle whilst a Bluetooth app allows for fast updates. It comes with a 2.8” full colour widescreen MIP LCD display allowing sharp viewing in all weathers, scorecard holder, compartment for balls, tees, pencils and a USB charging port. Manage your game from the trolley handle irrespective of external devices! Full colour 2.8” mid-size MIP LCD widescreen. The Transflective display enables sharp viewing in all weathers. Bluetooth Connected App for iOS and Android allows for quick golf course updates. New S1 with Ultra Lithium Battery. New S1 with Standard Lithium Battery.